Tim Beasley serves as the Chief Information Officer for HealthSCOPE Benefits. In this capacity, Tim is responsible for the oversight of HealthSCOPE Benefits’ enterprise-wide technology and services in the areas of Infrastructure, Operations, Security & Compliance, EDI, Programming, Data Analytics, Project Management and Service Delivery. He brings over 30 years of information technology experience in healthcare with concentration in Insurance, Hospital Management, Pharmacy, Diagnostic Imaging and Surgical Care. 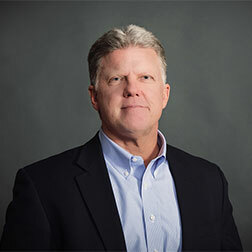 Prior to HealthSCOPE, Tim served as Vice President of Information Technology for Surgical Care Affiliates where he had oversight of enterprise technology focusing on process improvement and acquisitions. Tim is a graduate of the University of Alabama at Birmingham with a BS in Information Systems.